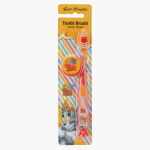 Tom & Jerry Toothbrush with Cap | Multicolour | Tom & Jerry soft bristles children's Tooth Brush with Cap . Your child will enjoy following oral hygiene when you get this Tom & Jerry toothbrush. 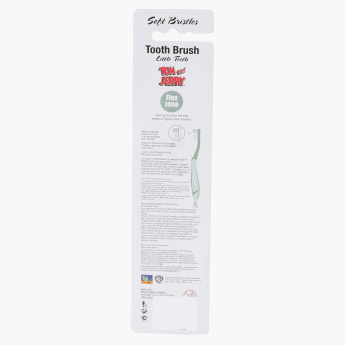 Accompanied by a hygiene cap, this toothbrush comes with soft bristles that will gently clean your child’s teeth. Feature 1 : Tom & Jerry soft bristles children's Tooth Brush with Cap . Feature 2 : Comes with tom and jerry character to ensure your children have a fun time oral care.